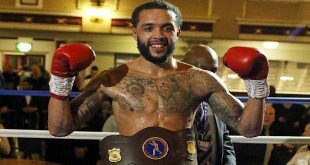 At the Kings Hall, Stoke-on-Trent, last night, Carl Greaves Promotions in association with Scott Lawton and Impact Boxing – hosted a show which featured seven contests. 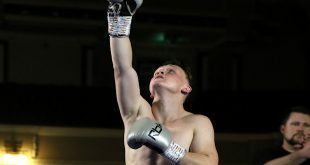 The headliner saw local man - Kaash Buttery of Burslem – secure a 60-54 points win over likeable Liam Richards of Melksham. The fast-paced contest saw Buttery use a variety of shots and some nimble footwork to win against tough-guy Richards. 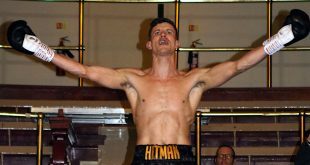 Debutant Martin Jones notched up his first win with a confident performance - outpointing Dylan Draper of Braintree. 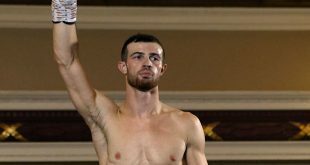 There were also point’s wins for Rob Fletcher of Stoke-on-Trent and Josh Groobridge of Uttoxeter. But Stokes’ Wes Leavy lost out when he faced a determined Elvis Dube of Derby. A motivated Dube kept up a constant punch rate to secure a points’ win against the home-fighter.